HMSBeagle www.biomednet.com/hmsbeagle This online magazine covers cutting-edge issues in biology. 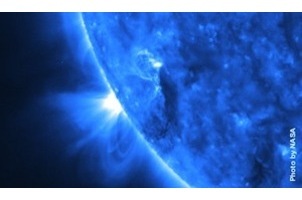 Science@NASA science.nasa.gov/ What's happening in space? The latest news, launch schedules, and astronomy facts. Maryland Earthcast www.meto.umd.edu/~owen/EARTHCAST/ Follow the well-organized links to watch every aspect of the current weather, from local to global.